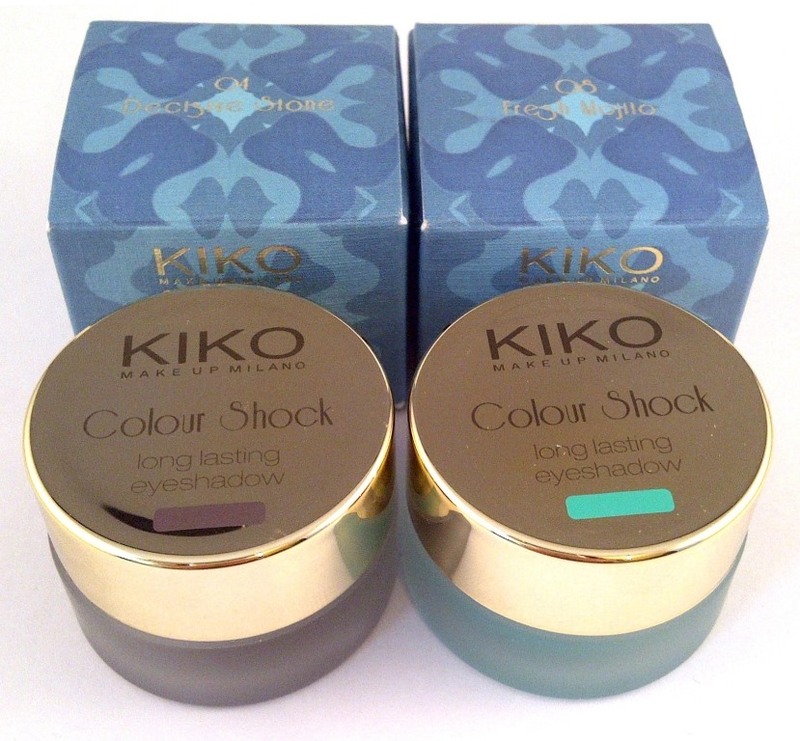 Gorgeous cream eye shadows from Kiko Cosmetics, these are part of the Limited Edition Fierce Spirit Collection (more posts coming soon). Colour Shock Longlasting Eyeshadow is available in 8 shades. I have two here - Decisive Stone and Fresh Mojito. They can be used as an all over shadow or as an eye liner and they are waterproof. I can testify to their lasting power, these do not budge. It took a lot of goes and plenty of remover! Texture wise they are buttery soft and very smooth to apply. Did I mention they are rather stunning and vibrant? They look amazing, so pigmented and vibrant! xoxo. I'm absolutely obsessed with these, they are the nicest things in the collection. I have just done my post on them. 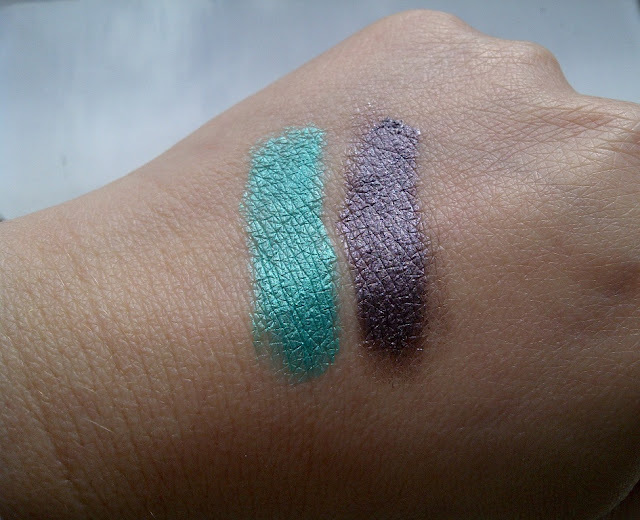 I was wearing Fresh Mojito as liner yesterday and got so many compliments! These look fab! I really do need to start being more brave with the colours I wear! Lasting power and high pigment wins with me hands down!